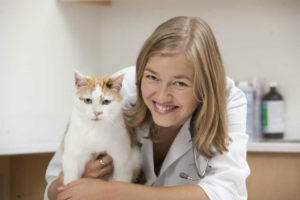 Adronie Verbrugghe, DVM, PhD Vet Sci, Dip ECVCN. University of Guelph (U of G) has awarded the Research Excellence Award to Adronie Verbrugghe, DVM, PhD Vet Sci, Dip ECVCN, to continue her research in canine and feline nutrition. Verbrugghe’s research looks at how pet nutrition affects metabolic pathways, inflammation, and immunity, as well as the microbial environment in the gut, which are all factors in obesity. 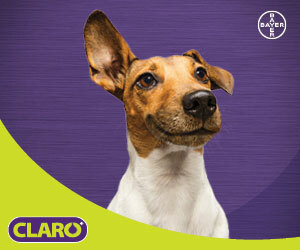 She also researches nutritional supplements for canine cancer patients and plant-based diets for pets. Verbrugghe is the Royal Canin veterinary diet endowed chair in canine and feline clinical nutrition, as well as one of the few board-certified veterinary nutritionists in Canada. She also runs a clinical nutrition service in the companion-animal hospital at the OVC Health Sciences Centre, and has helped lead the development and introduction of a companion-animal nutrition curriculum, helping DVM graduates help pet owners better feed their pets.